One of the most attractive aspects of some applications such as Instagram, Facebook, WhatsApp or Twitter, is that they have multiple functions that help improve communication or customize the profile and publications of users. 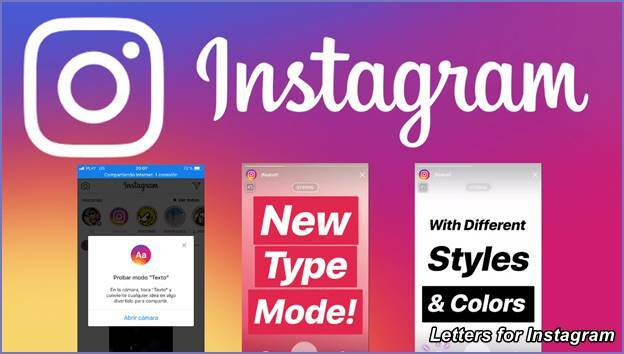 Many of these functions are added to the system by means of updates, among the most outstanding features of the latest version of Instagram, is the possibility of using different fonts for Instagram, to make the text of the publications much more appealing to other users. 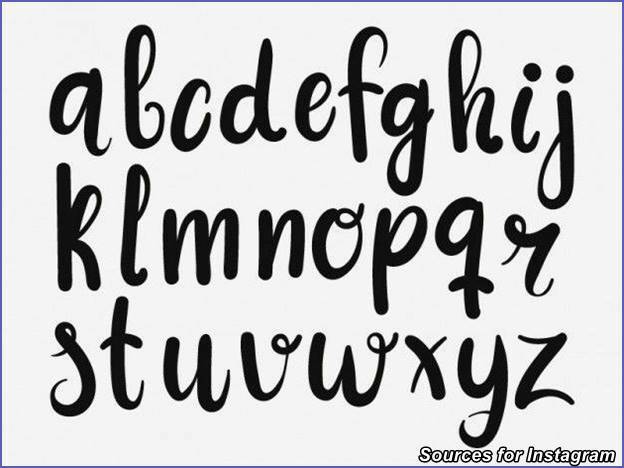 However, before applying any type of font, make sure that it is completely legible, as some fonts are very complicated to read as they are unconventional, making it difficult for followers to read the text of the publication incorrectly. 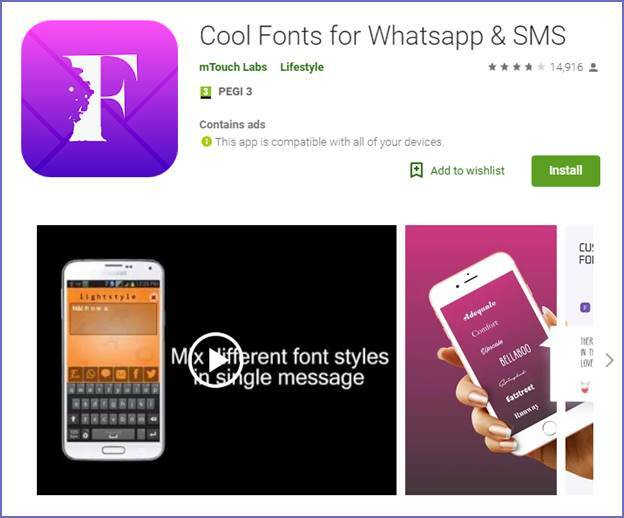 Instagram is not the only platform that allows its users to use different fonts when making publications, since WhatsApp, Twitter and Facebook also have this feature, so before using any type of font you have to make sure that it is compatible with the system of these applications. Although most users believe that in order to use the different fonts in Instagram or in any other application it is necessary to use some hack or make a complicated procedure, the truth is that it is much simpler since it is only necessary to download an application in any case. If you ever copy and paste any lyrics from Instagram into another social network like Twitter for example, it might not work well and your followers may not be able to read it well. DO YOU LIKE THIS TYPEFACE? There are several options for applications created to complement Instagram in terms of font types. This is an easy way to add eye-catching text to your publications with great fonts to set you apart from your competitors. A free app created for Whatsapp chat messages, but can also be used for other social networks, such as Instagram. Open the app and enter the text message you want to publish as a post through your keyboard. Click on share and then select Instagram. Your contact folder will be extended so you can choose who to send it to. With the Fonts application and the “Convert Font to Image” option, you can create messages to share them in Instagram, not everything will be photos. It will help you to create messages or publish famous phrases for Instagram. You can choose from 10 different fonts. Select the background color and the color of the letters. Change the size of the letters according to the length of the text. Save the image to your device’s gallery and then publish it whenever you want. This application will allow you to choose from a large number of fonts or letters, so that your Instagram publications are exceptional. It is a fun and intuitive app, with which you can change the fonts of your texts in Instagram, as well as in other social networks. 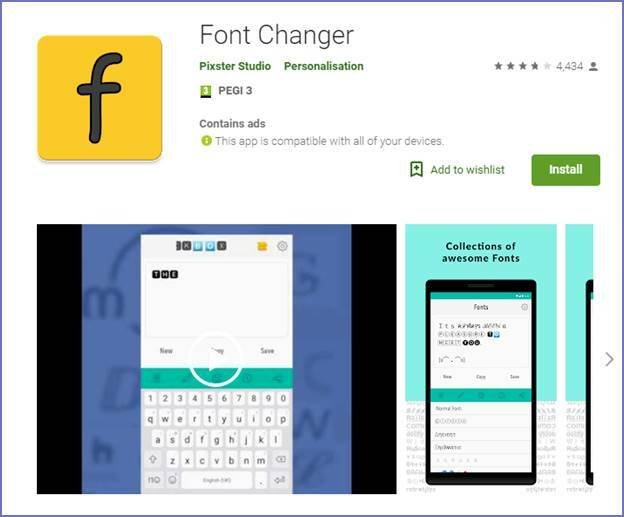 Font Changer has been updated recently and has more than 110 font types, apart from the emojis. With this app for mobile devices, you can write the text you want to change, and after you’ve edited and applied new styles, you’ll be able to write in strange letters on the different social networks you use, including Instagram. For us, Cool Fonts is our preferred application for modifying Instagram letters with an iPhone. These applications we’ve shown you can also help you customize your Instagram biography. It’s up to you to leave your profile with a single font for all your publications, or if you decide to take advantage of all the options these apps give you and use the fonts according to your tastes, creativity or mood. 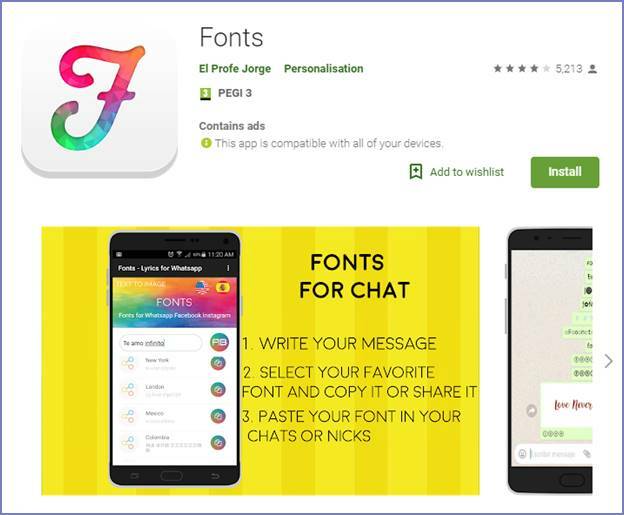 Like the multiple functions of social networks, the font types have several favorable aspects for the users of this platform. By beginning to incorporate different fonts or types of fonts into publications, the audience will begin to feel more attracted and identified with these publications, which will allow them to attract new users and followers. Another advantage of applying different fonts to publications is that followers will begin to wonder how they can add these fonts or font styles, so the profile account that starts publishing texts with different and original fonts will begin to gain popularity very quickly. Nowadays, there is an incredible variety of fonts for Instagram and other social networks available on different websites, however, it is important to remember that it is likely that if you try to copy a specific font from one social network to another, the process may not be carried out correctly. Modifying the letters or fonts in Instagram will allow you to highlight and make your profile more attractive. But don’t forget that what’s important is that your texts are understandable, otherwise you’ll get a rebound effect and lose the interest of your followers. What are you waiting for? Start having fun and making a difference with the apps we’ve provided and start trying all the fonts you want for your Instagram.